Hawaii will reinstate the use of a World War II-era air raid siren in December because of the threat of a missile attack from North Korea. The sirens were installed after the Japanese Navy attacked Pearl Harbor on Dec. 7, 1941. The attack killed 2,335 Americans and caused a huge blow to the U.S. Navy. The battle led the U.S. to join World War II. The “attack warning” siren will be added to monthly tests of Hawaii’s “attention alert” siren which signals for natural disasters such as hurricanes, tsunamis and earthquakes, according to the Honolulu Star-Advertiser earlier this month. The first test of the old air raid siren will be Dec. 1. Tests typically take place on the first business day of every month just before noon. The last time the sirens were used was in 1980, during the Cold War. The signals then would have signaled a missile attack from the Soviet Union, but now would indicate one from North Korea. North Korea tested its sixth nuclear weapon in its history in September. North Korea claimed the test was a hydrogen bomb — the weapons' explosive yield was 16 times more powerful than the bomb dropped on Hiroshima by the U.S. North Korea also has conducted several provocative missiles tests this year including two intercontinental ballistic missile tests with a theoretical range that includes the continental U.S. and two shorter-range tests that had missiles fly directly over Japan. Hawaiian officials say that the state must prepare for an attack, even if its unlikely. In addition to the sirens, Hawaii has put out a series of public service announcements about emergency preparedness. In the event of an attack, Hawaiians are told to shelter in place. Hawaii has used a theoretical 150-kiloton-yield nuclear bomb detonated over Joint Base Pearl Harbor-Hickam as its planning measure. Such a strike, if successful, could cause nearly 18,000 fatalities and 50,000 to 120,000 trauma and burn casualties, according to the Honolulu Star-Advertiser. Hawaii has a population of around 1.4 million. 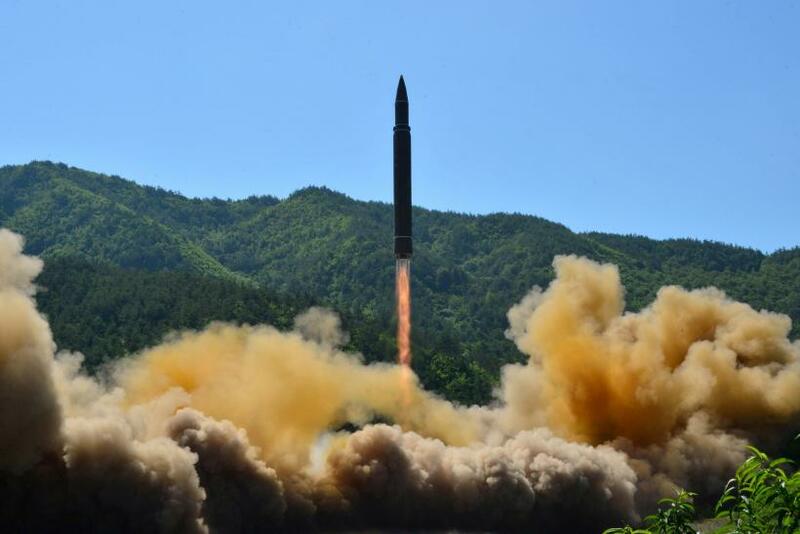 Hawaii is the first state to issue a nuclear weapon preparedness plan for North Korea. The state is home to the Military’s U.S. Pacific Command, which has appeared as a target in North Korean propaganda videos. Hawaii is covered under an anti-ballistic missile system that protects the command.